Alimony is often a very contentious issue that drives a divorce case and its outcome. Many spouses who agree on every other issue in a divorce find alimony to be an emotional sticking point. To complicate matters, Florida alimony laws are perpetually evolving; it is crucial to have a Winter Park alimony attorney on your side who is up to date on the changing laws and understands how your rights and interests can be affected. Backed by more than 65 years of combined experience, the Orlando alimony lawyers of Cotter & Zelman, P.A., represent men and women throughout central Florida who are either pursuing or opposing an award of alimony. We are on the cutting edge of legislative and case law developments in this area, and we can help you build the strongest possible case to safeguard your interests. Florida law recognizes five types of alimony. Depending on the circumstances of your case, one or more types may apply. Temporary alimony can be awarded while a divorce case is pending if the receiving spouse is in need of financial support for living expenses and the other spouse has the ability to pay. “Bridge the gap” alimony can be awarded to receiving spouses for up to two years to ease the transition from married life to single life. Rehabilitative alimony can be granted for a specific period of time to allow receiving spouses to improve their education or skills so they can better support themselves in the future. Durational alimony provides receiving spouses with economic assistance for a particular period of time following a short- or moderate-term marriage. Permanent alimony is typically only awarded following a long-term marriage. Whether you are interested in negotiating an out-of-court agreement — or your alimony case needs to be litigated at trial — the lawyers of Cotter & Zelman, P.A., will be strong advocates for your rights and interests. 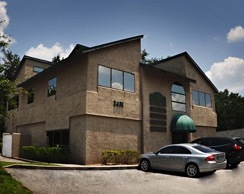 Call us at 407-629-4711 or send us an email to schedule a free consultation to discuss your family law matter.